By this time, those “wonderfoals” who entered breeders’ lives last spring have all four legs under control and are loping circles in the pastures, practicing their slow and fast canters and their high trots, learning to respond to a tug on a halter rope, play fighting with their pasture mates, and taking flat-down sunbaths whenever the notion occurs. Astute breeders will see qualities of their dams in each one and note her valuable contributions to temperament and conformation. So often we forget how foals got to this comfortable and joyous spot in life. Who gave them life? Who managed their foaling? Who taught them their good manners? Who disciplined them for sly little nips and kicks? Who kept them close when they were the least threatened? Their dams, those patient ladies who carried them for 11 months, delivered them with a welcoming nicker, fed them regularly, and guarded them from all harm. 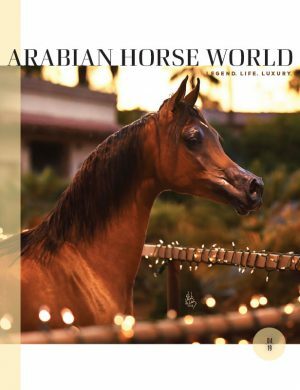 As is the tradition, Arabian Horse World honors all Arabian mares this issue, and gives lifetime recognition to those who have produced four or more champions by labeling them Aristocrats. This year, we celebrate 18 new Aristocrats and six Aristocrats who have added to their status by producing more champions. If there’s an Aristocrat in your stables, give her an extra carrot or apple to show your appreciation and respect. And to remind her what a special lady she is. 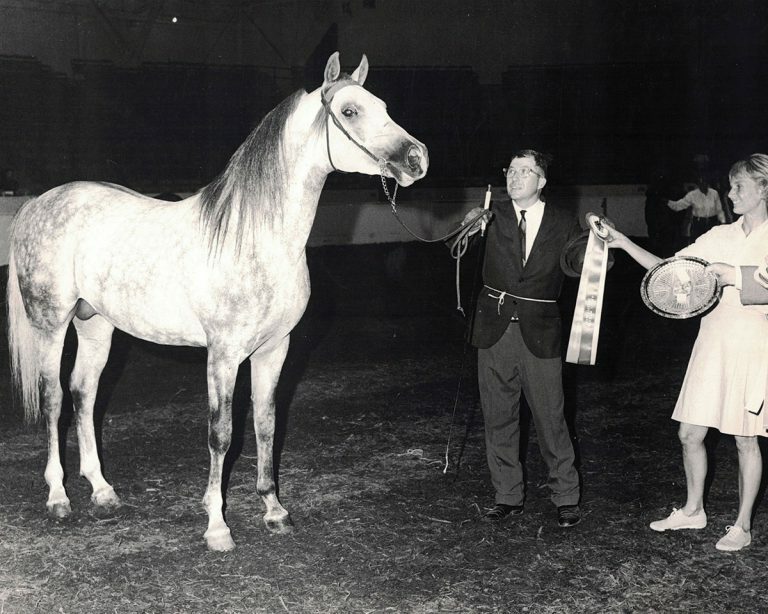 “A Fancy Miracle (*Sasaki x *Medina Azahara by Garbo) is the queen of Magnum Arabians as the dam of world renowned Magnum Psyche,” says Karen Havice, Magnum Arabians. 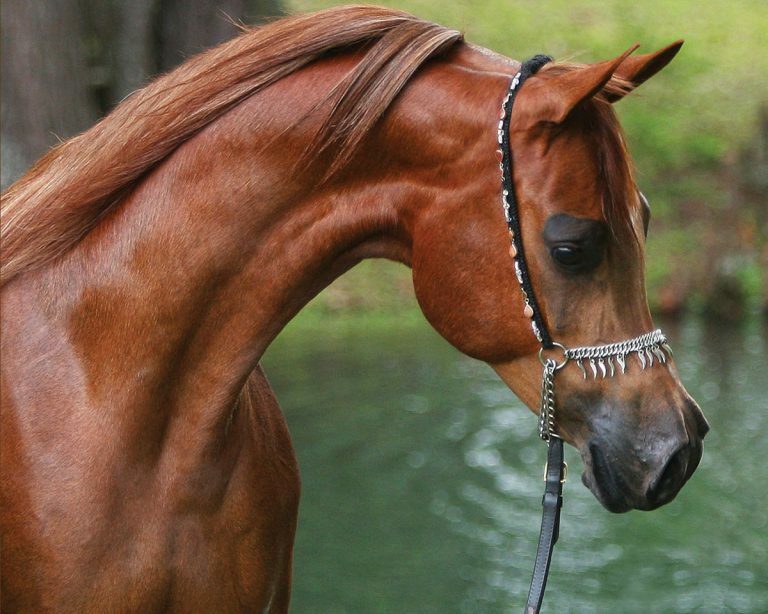 “Magnum Psyche is a multi-U.S. National, International, and Scottsdale Supreme Champion, and the leading sire in Arabian horse history. “Fancy’s magnificent daughter, Merveille, is a 2012 full sister of Magnum Psyche and a Scottsdale Champion. Like her dam, Merveille already is proving to be a stellar producer herself, being the dam of the 2017 Scottsdale Silver International Champion Yearling Filly, La Reve. “Magnum Psyche’s full brothers, Quetzalli, Sovereignn, and most recently, 2012 stallion Supreme Psyche are all champions. Born in 2004, Euphoria NA (*Sir Fames HBV sired by Ffamess out of Entaicyng NA by Aicyng) has been an incredible asset as a broodmare. “All who have had the privilege of seeing Euphoria NA, are quickly captured by her beauty,” says Erinn Blackburn. 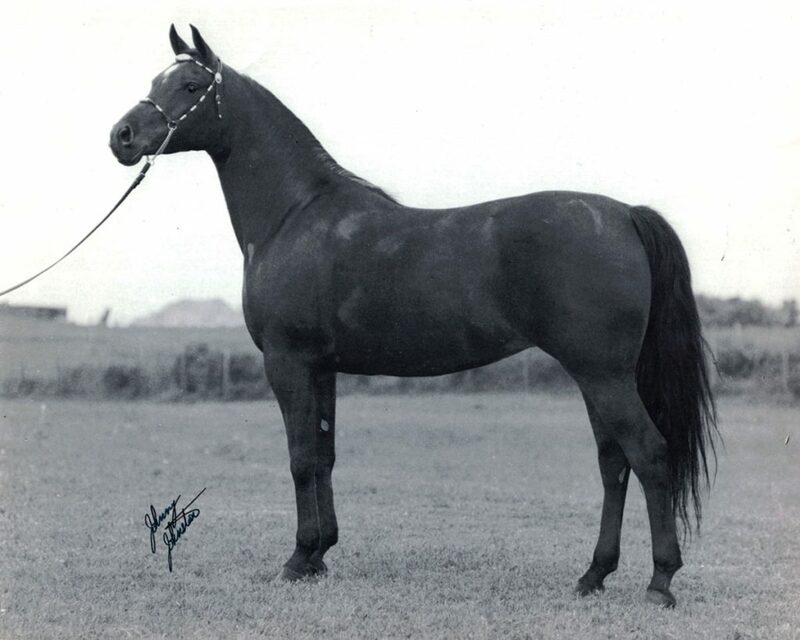 “Her head is sculpted and chiseled like that of a classic Arabian mare should be. Her neck is long and shapely with a beautiful bend and perfect throat latch. She moves just as a proud mare should, her hesitated, strong trot glides to every turn with her neck and tail held high and proud. She knows she is special. She has no problem stopping mid-stride to snort at her audience to keep them captivated by her presence. 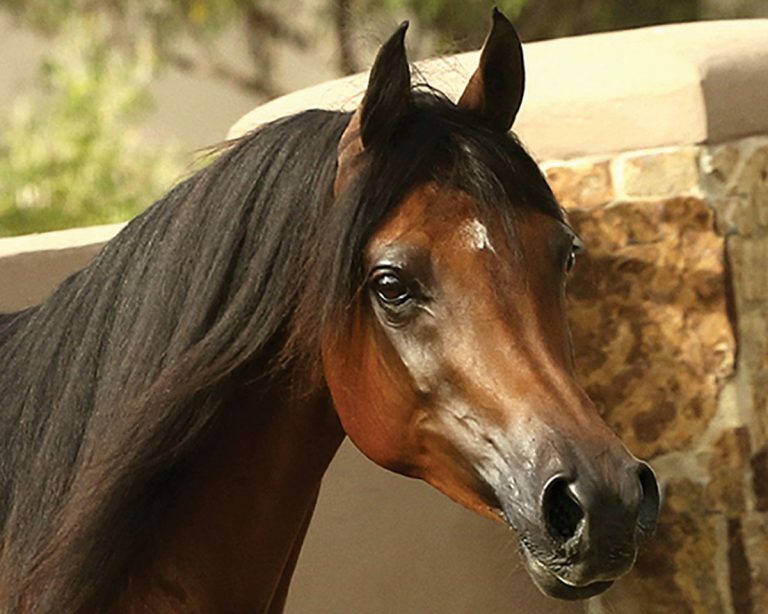 It is so rare to have a mare stamp each foal with such extreme Arabian type every single time … she has yet to ever let anyone down with any foal she has produced.” Jason adds, “Euphoria and her foals are what ignited me into helping Erinn achieve her Arabian breeding dreams.